This book was recommeded to me by my new friend Deb, at who's home I stayed in Colorado Springs. 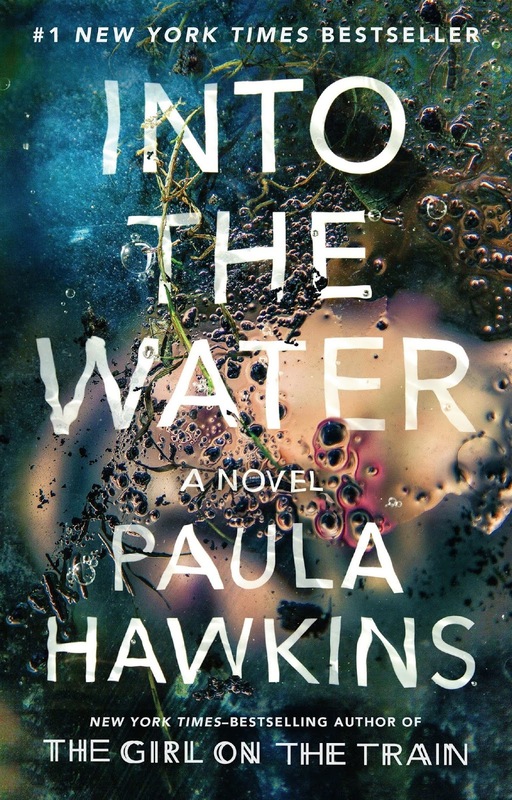 This is the first in a series of books about a widow who has decided she wants to be a spy. I thoroughly enjoyed this book! 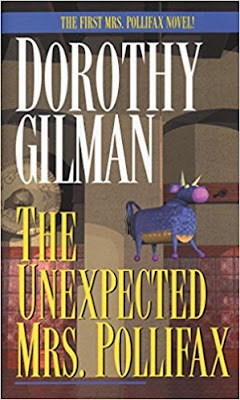 The story and the characters were wonderful and I found myself laughing out loud at times. 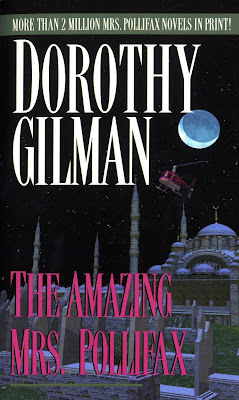 I have requested the next book in the series from the library. I highly recommend this if you are looking for some fun misadventures and hysterical situations of an older woman with more willingness than skill to embark on her new career. As a former flight attendant, I had very low expectations. 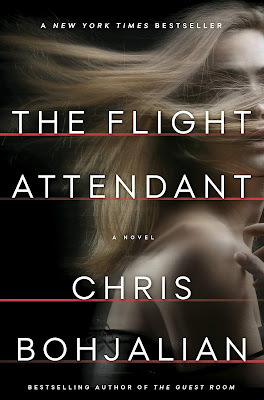 Most books I've read with flight attendants in the story line are so overly stereotyped it's just annoying. However, I found this book to be very close to realistic as far as the job environment and lifestyle of airline crews. I also enjoyed the fact that the book was about a woman who just happened to be a flight attendant. She also has a drinking problem and plenty of personal issues related to that. But she unwittingly becomes involved in an international incident that leaves her next in line to be killed if she can't get herself sorted out in a hurry. I have liked every book written by this author and this one is no exception. I am glad I read this book. I cannot recommend this book highly enough. I love historical fiction that is based around true events. I also love to hear stories of brave women who walked into danger for reasons beyond themselves. This story is about the women who were British spies behind enemy lines in France. They were so successful in large part due to the sheer ignorance of the men who refused to believe them capable. This book does not get bogged down in the details of the war plans and strategies, etc. It is about the lives of the women involved and how they experienced the war. It is about their relationships, hopes, fears and unending determination. Please read this book. The second book in this series did not disappoint. Again, I love the new characters that were introduced and the attitude of the main character. If I had a complaint, it would be that I wanted more. A few more chapters would have been nice, but I also understand, that as part of a series, the book has to leave off at some point. I just felt the ending was a little abrupt. I would still highly recommend this book and the previous one. I believe it can be purchased as a series, and that would probably be the way to go, since these are fast reads and real page turners. It's a fun read of a rollicking grand adventure. Okay, this book is a little dark. It is about the various deaths of many people in the same river. How they are connected and how they affect the entire area of the people living there. It's complicated and there are some surprising characters involved. It's well written and well told. It's sad though. It's heavy and heart breaking. I've still got a few chapters to read, so maybe there are still some surprises. I would recommend it just because it is compelling and well told. Thanks for the recommendations, Diane. 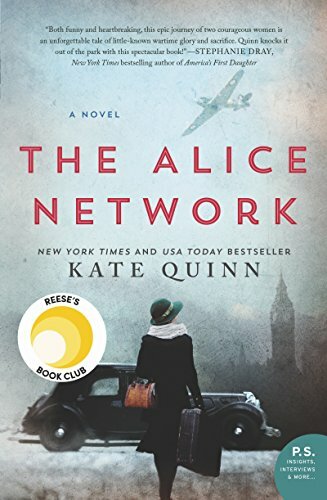 I decided to reserve The Alice Network from our local library just now (because of your review). I just wanted to tell you that you must have 22 readers in the Columbus, Ohio, area because that's how far down the line I am for getting this book! Haha. I didn't expect a book published in 2017 to have that many reserves. It looks like it will be good. Thanks for mentioning it. I love the Mrs. Pollifax series! I wish she would have written more. It's one of those series I have read time and again; a rainy day, comfort book, when you want to visit old friends. You should also read her other books, the stand alones. They are very good also. I've been waiting and waiting to read The Alice Network... I might have to buy it before it's my turn at the library. lol Thanks for your monthly lists, I enjoy them. Thanks for the reviews! I'm trying to get back to book reading - I used to be a voracious reader. I've added your suggestions to my Evernote book list! I always look forward to your book reviews! Just put the Alice Network on my list. LOVE LOVE LOVE The Alice Network. Glad you did too! I am glad you ALSO are reading the Pollifax series...I have wanted to for years and NOW I will! Have a nice rest of the summer and KEEP READING!! !